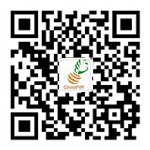 China International Fruit and Vegetable Fair (ChinaFVF 2017) will be held in China National Convention Center, Beijing on November 3-5, 2017 with the exhibition area of 11000 square meters, which is being doubled compared with last year. It is expected to have more than 300 exhibitors, 500 varieties and 1000 brands displaying at the show. 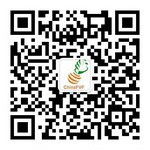 Responding to the reform of agricultural supply side by brand building summoned by government, ChinaFVF takes the advantage of being international renowned platform on introducing the new varieties, new technologies and whole chain matching making to further pushing the international communication in the industry. Under the theme of "Fresh Innovation Drives Leading Industry Brands" together with the show, the International Fruit and Vegetable Conference and kinds of forums and seminars will be held to enlarge and further strengthen the industries tie. Innovation is the key factor for creating more value and competitive edge in terms of new varieties, technologies. Freshening focus on the new entry products admitted or to be admitted by AQSIQ. Branding arises the brand awareness and help the fruit and vegetables professionals to build products brand. Consumers have a great demand to the high quality products. Famous brand products are doomed to take and enlarge the market share in the near future. Quality control and brand building is the key factors for successful producing and marketing. The experts , growers , suppliers, traders, and buyers, as well as key players in the industry from all over the world will be pooled together to explore the next growth point. It will be a grand exhibition for focusing hot topics, gathering authorities and planning for the future development of the industry. Sign up our official website at www.chinafvf.com or wechat to register for join in the grand event in the industry or contact with Ms. Li Tong at litong@chgie.com for more information.